1. 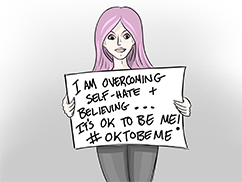 Write down your “It’s Ok To Be Me” story legibly on a poster board or piece of paper (or on anything you can hold up to the camera). 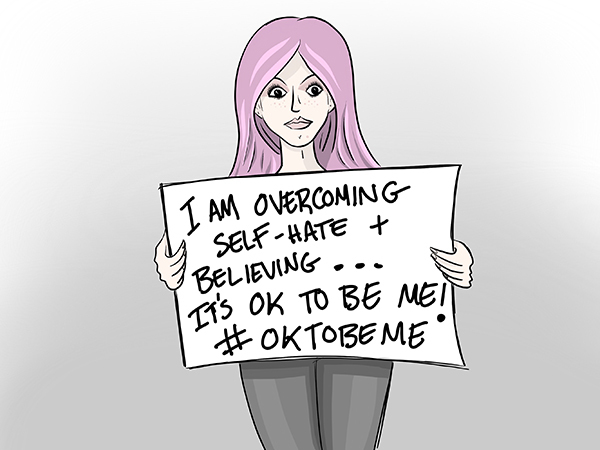 Share something that you have overcome on your journey towards loving yourself and just being you (we’re all still somewhere on the journey)! 2. Maybe it’s labels people have put on you? Maybe you’ve been judged for being who you truly are? Maybe you are fighting to not let your past define your future? Maybe you are just struggling to love yourself? By uploading your video you agree to the submission rules.